What do Vitamin E Tocotrienols do for you? It is quickly becoming hard science that a high quality Vitamin E tocotrienols supplement will dramatically affect your experience of wellness. One of the largest concerns right now in healthcare is managing inflammations. There are pharmaceutical anti-inflammatories available by prescription, but many of the anti-inflammatory drugs (NSAIDs) have some very severe side effects including death from overdose, liver failure and kidney failure. It makes sense for someone to look into much safer, natural ways to reduce inflammation like Vitamin E tocotrienols and specifically the Kyani tocotrienols. While there is a lot of information available on the internet regarding Vitamin E Tocotrienols, most of this information is based upon the older, patented research by Dr. Barry Tan who discovered the highest form of Vitamin E tocotrienols currently known to science. Alpha-tocopherol is traditionally recognized as the most active form of vitamin E in humans, and is a powerful biological antioxidant. The measurement of “vitamin E” activity in international units (IU) was based on fertility enhancement by the prevention of spontaneous abortions in pregnant rats relative to alpha tocopherol. It increases naturally to about 150% of normal in the maternal circulation during human pregnancies. The other isomers are slowly being recognized as research begins to elucidate their additional roles in the human body. Many naturopathic and orthomolecular medicine advocates suggest that vitamin E supplements contain at least 20% by weight of the other natural vitamin E isomers. Commercially available blends of natural vitamin E include “mixed tocopherols” and “high gamma tocopherol” formulas. Also selenium, Coenzyme Q10, and ample vitamin C have been shown to be essential cofactors of natural tocopherols. Tocotrienols, with four d- isomers, also belong to the vitamin E family. The four tocotrienols have structures corresponding to the four tocopherols, except with an unsaturated bond in each of the three isoprene units that form the hydrocarbon tail. Tocopherols have a saturated phytyl tail. Antioxidants such as vitamin E act to protect cells against the effects of free radicals, which are potentially damaging by-products of the body’s metabolism. Free radicals can cause cell damage that may contribute to the development of cardiovascular disease and cancer. Vitamin C and other anti-oxidants recycle vitamin E end-products back into effective suppressors of free radicals. Studies are underway to determine whether vitamin E might help prevent or delay the development of those chronic diseases. Vegetable oils, nuts, wheat germ and green leafy vegetables are the main dietary sources of vitamin E. Fortified breakfast cereals are also an important source of vitamin E in the United States. Although originally extracted from wheat germ oil, most natural vitamin E supplements are now derived from vegetable oils, usually soybean oil. Commercial vitamin E supplements can be classified into several distinct categories: fully synthetic vitamin E, “d,l-alpha-tocopherol”, the most inexpensive, most commonly sold supplement form usually as the acetate ester; semisynthetic “natural source” vitamin E esters, the “natural source” forms used in tablets and multiple vitamins; highly fractionated natural d-alpha tocopherol; less fractionated “natural mixed tocopherols”; high gamma-tocopherol fraction supplements; and tocotrienol supplements. Synthetic vitamin E, usually marked as d,l-tocopherol or d,l tocopheryl acetate, with 50% d-alpha tocopherol moiety and 50% l-alpha-tocopherol moiety, as synthesized by an earlier process is now actually manufactured as all-racemic alpha tocopherol, with only about one alpha tocopherol molecule in 8 molecules as actual d-alpha tocpherol. The synthetic form is not as active as the natural alpha tocopherol form. The 1950’s thalidomide disaster with numerous severe birth defects is a common example of d- vs l- epimer forms type problem with synthesized racemic mixtures. Information on any side effects of the synthetic vitamin E epimers is not readily available. Naturopathic and orthomolecular medicine advocates have long considered the synthetic vitamin E forms to be with little or no merit for cancer, circulatory and heart diseases. Semisynthetic “natural source” vitamin E, manufacturers convert the common natural beta, gamma and delta tocopherol isomers into esters using acetic or succinic acid and add methyl groups to yield d-alpha tocopheryl esters such as d-alpha tocopheryl acetate or d-alpha tocopheryl succinate. These tocopheryl esters are more stable and are easy to use in tablets and multiple vitamin pills. Because only alpha tocopherols were officially counted as “vitamin E” in supplements, refiners and manufacturers faced enormous economic pressure to esterify and methylate the other natural tocopherol isomers, d-beta-, d-gamma- and d-delta-tocopherol into d-alpha tocopheryl acetate or succinate. In the healthy human body, the semisynthetic forms are easily de-esterified over several days, primarily in the liver, but not for common problems in aged or ill patients. Vitamin E is a collective term used for a group of chemically similar compounds. All forms of Vitamin E are related with each being fat soluble and possessing antioxidant capabilities. The Vitamin E family contains two subgroups, tocopherols and tocotrienols, each of which can be found in four separate molecular forms (alpha-, beta-, gama-, and delta-). This short article will explain the differences between the two subgroups of Vitamin E: tocopherols and tocotrienols. Both tocopherol and tocotrienol molecules have a “head” section and a “tail” section. The composition of the head section determines whether vitamin E is in its alpha, beta, delta, or gamma form. The head section is also the location of the vitamin’s antioxidant activity. All vitamin E molecules have the same type of head, meaning they are all antioxidants, but to varying effectiveness. The tail section identifies the molecule as either tocopherol or tocotrienol. Tocopherols have longer tails without double bonds – meaning that their tails are more rigid. This leads to a very immobile molecule that is confined to a localized area of the cell membrane. The tocotrienols, on the other hand, have shorter tails comprised of three double bonds. This means that tocotrienols have much more flexible tails which ultimately creates a very mobile molecule capable of protecting a large surface area of the cell membrane. Dr. Barrie Tan, the foremost expert on Vitamin E research, makes the analogy of tocopherols being like the local police. They have antioxidant activity which allows them to catch the “bad guys” (free radicals), but are limited in the distance they can travel along the cell membrane because of their rigid tails (much like how local police can only act in their jurisdiction). Tocotrienols, on the other hand, are able to catch free radicals in a much larger area because they are anchored down less than their tocopherol brothers. This makes them the “state troopers” of the Vitamin E family. It is this mobility that gives tocotrienols approximately 50x the antioxidant ability of tocopherols. Up until recently, most of the studies done on Vitamin E were that of tocopherol, especially alpha-tocopherol. Even most of the vitamin E supplements in the market are made mainly of alpha-tocopherols. A fury of Vitamin E studies began in the 1980’s when it was theorized that Vitamin E possesed cholesterol lowering abilities. Most of the studies were conducted on tocopherols, however, which actually was shown to increase one’s cholesterol when given in high doses. These findings took Vitamin E out of the limelight for a while until recently when more attention was given to the other form of Vitamin E: tocotrienols. Unlike tocopherols, tocotrienols have been shown to have cholesterol lowering abilities in addition to its antioxidant capabilities. In fact, the presence of tocopherols somehow interferes with the function of tocotrienols. Up until recently, the main natural sources of Vitamin E were rice and palm oil. Since these sources contained a significant percentage of both forms of the vitamin, it was difficult for researchers to study the full effects of tocotrienol Vitamin E. This was until Dr. Barrie Tan discovered that the annatto plant contained 99% tocotrienol and only 0.1-0.2% of tocopherol making it the purest known source of tocotrienol on the planet. Before we talk about the tocopherols and tocotrienols benefits, first of all let’s discuss Tocotrienols as a super nutrient. Tocotrienols belongs to the superior members of the vitamin E family. Vitamin E is a fat-soluble vitamin with anti-oxidant properties. In a complete vitamin E family, there are two groups of vitamin E which is tocopherols and tocotrienols. Each group of vitamin E consists of four isomers (alpha, beta, gamma and delta) which sum up to eight compounds in the vitamin E family. The molecule structure for tocopherol and tocotrienol are quite similar except that the tocotrienol tail has three double bonds while the tocopherol tail has none. Most often, the normal vitamin E that available at grocery stores, health stores, or even many pharmacies, are often manufactured using an inexpensive, synthetic version of alpha-tocopherol. Alpha-tocopherol is the predominant form of vitamin E and it is found in abundance in nature. It became synonymous with vitamin E and is the main focus of research in the early years. By contrast you can find tocotrienols in plant oils such as coconut oil, palm oil, palm kernel oil, and rice bran oil. Other sources are cereal grains like barley, rye, oat, wheat germ, saw palmetto and selected types of nuts and grains. Palm oil is to date the richest source of tocotrienols, a superior form of vitamin E which is 60 times more powerful than tocopherols. A full spectrum of vitamin E (tocopherols and tocotrienols) would create a synergistic effect that would provide a shield-like protection to our body. Kyani is a one stop shop for all the health nutrients that a person requires to live a healthy and long life. Kyani’s products are primarily based on the high nutritional value of the wild Alaskan blueberry, Wild Alaskan Sockeye Salmon and Noni, these three makes up the main ingredients in their products and is becoming one of the best companies that offer natural health products to provide you with superior value for your money, making it a fast growing and very successful company in a very short time. Kyani has a range of products with different properties, so that the consumer can decide what they require and use them accordingly. Kyani Sunset is one among them and the Kyani Sunset is a powerful combination of the wild Alaskan Sockeye Salmon oil mixed with Vitamin E Tocotrienols extracted from the annatto bush. It provides pure Omega 3 found in the Wild Alaskan Sockeye salmon, which is pollutant and mercury free. The main ingredient of the Kyani Sunset is the omega 3 produced from the wild Alaskan Sockeye Salmon oil, and delta gold, a product of American River Nutrition. Kyani Sunset has Omega 3 that is one of the essential fats required by the body, in which it can not make nor produce, that is why it is also called an essential fatty acid. The true ratio of the Omega 6 and Omega 3 which are both essential fatty acids is 1:1, which means that the consumption of the Omega 3 has prime importance in a balanced diet. Sometimes, when we do not consume them naturally, we will require supplements to stay in good health. This is the reason Kyani has come out with its product, Kyani Sunset which is made of all natural products that provide a supplement to anybody who requires it. The Sunset also provides Vitamin E, which is a very powerful nutrient that is required by the body. It has innumerable health benefits out of which it’s healing powers for certain cancers, cardio vascular diseases, skin diseases and neurological diseases are very important. It prevents cell damage and has antioxidant properties that have significant health benefits to the body. The Vitamin E found in Kyani Sunset has a compound named tocotrienol that has amazing healing benefits and is enhanced when combined with the Alaskan sockeye salmon oil. 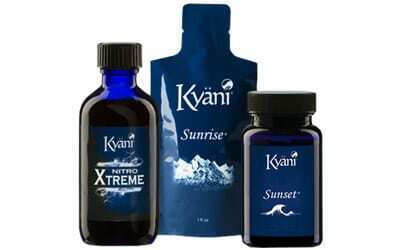 The health benefits associated with the Kyani Sunset is amazing! Primarily, it improves your cardio vascular health and maintains healthy cholesterol levels. It improves blood circulation and reduces inflammation to a great extent. It also promotes healthier hair and skin and aids in sleep too, many are finding that they no longer need their sleep medications and helps to get you into a alpha sleep mode. Kyani Sunset also improves cognitive function and contains no detectable mercury, thus proving to be an amazing combination to your way to health! The Sunset has the new Vitamin E called Tocotrienols The Sunset, a product formulated by Dr. Barrie Tan, whom through his own research found the importance of the new vitamin E Tocotrienol which is a natural and pure supplement of Vitamin E extracted from the annatto bush seeds, some call it the lipstick plant. A daily dose of this can enrich your health conditions and give an experience like never before! So what’s new to know about the already well-known antioxidant, vitamin E? Quite a lot, considering that a new-and-improved, next-generation vitamin E is now available: Tocotrienols. What makes it so significant is that tocotrienols supply more than you’re probably getting from your regular vitamin E supplement. To understand why, you should know that vitamin E is not a single vitamin, but rather a family of eight active compounds technically known as “isomers.” Isomers are molecules with similar chemical characteristics, but with slightly different variations in structure. The eight isomers consists of four tocopherols and four tocotrienols (in both cases represented and differentiated by one of the first four letters of the Geek alphabet: alpha, beta, gamma and delta). Of these, alpha-tocopherol is the sole version found in most vitamin formulas. So if you’re just taking alpha-tocopherol, you may not be getting the full benefit of the entire vitamin E complex. That’s because the eight isomers in vitamin E have different biological activities and deliver different therapeutic benefits. Tocotrienols, for example, have been shown in animal studies to possess antioxidant activity that is 40 times greater than that of tocopherols. And among the tocopherols, gamma-tocopherol may be a more potent antioxidant than alpha-tocopherol. Many of us are familiar with the antioxidant and mild cardiovascular protection benefits of Vitamin E. However many are not aware that there is more to Vitamin E than just alpha-Tocopherol that is found in regular Vitamin E formulas. Scientific studies have proven that other members of the Vitamin E family, namely the Tocotrienols (alpha, beta, gamma and delta) – play a more important role than just regular Vitamin E (alpha – Tocopherol) alone. Apart from being a more potent antioxidant than regular Vitamin E, tocotrienols have many other functions that regular Vitamin does not possess. Conventional or regular Vitamin E supplements contain only alpha- Tocopherol. If you’d like to enjoy a more complete antioxidant protection, better cardiovascular as well as cancer protection, and more profound skin beautifying benefits, choose a Vitamin E supplement with alpha-Tocopherol as well as a full spectrum of the Tocotrienol family. So check your vitamin E supplement label to ensure you are no taking an inferior formula. As a potent antioxidant, Tocotrienols are unique as they have the ability to “recharge” themselves faster after neutralizing free radicals. Furthermore, they are 40 – 60x stronger that the popular antioxidant alpha-Tocopherol (regular Vitamin E) itself. Both Tocotrienols and cholesterol lowering drugs (Statin drugs) lower the production of LDL “bad” cholesterol in the body by suppressing HMG-CoA reductase. Tocotrienols work using different mechanism than Statin drugs, which is why they do not cause the usual side effects associated with Statin drugs, such as the lowering of HDL “good” cholesterol and CoQ10 in the body. When taken alongside cholesterol lowering drugs, Tocotrienols greatly improve the efficacy of these drugs. Interestingly, studies have shown that gamma Tocotrienols, on its own, is able to decrease serum cholesterol by over 31% in just 4 weeks. Keeping blood vessel walls flexible and smooth so that they are not easily injured. Controlling inflammation causing cytokines that may otherwise initiate plaque to build up. Preventing the oxidant of LDL cholesterol that causes it to stick readily on blood vessels. Inhibiting smooth muscle cell proliferation that may speed up the clogging of blood vessels. Preventing platelet ‘stickiness’ that causes blood clots. But, one of the most distinctive function of tocotrienols is their ability to clear atherosclerotic blockage in the carotid artery ( the main blood vessel that supplies blood to the brain) to significantly reduce the risk of stroke. While regular Vitamin E is not found to protect against cancer, Tocotrienols, especially delta and gamma – Tocotrienols, are found to exhibit potent anti tumors properties, especially against breast, prostate and liver cancer. Tocotrienols inhibit cancer cell growth by preventing cancer cells from multiplying and spreading, and also inducing the death of cancer cells (apoptosis) without affecting the surrounding healthy cells. Compared to regular Vitamin, Tocotrienols also penetrate cell membranes better, from a more uniform distribution within the cell’s membrane and protect the DNA materials contained in the cells against damages that may eventually lead to cancer. According to World Health Organization (WHO), 1 in every 12 women is at risk of developing breast cancer, with over half a million reported death every year. While many breast cancers are estrogen hormone dependent, some tumors, particularly those that developed after menopause, do not depend upon estrogen for their growth. Hence, they would not respond favorably to Tamoxifen (the most widely used treatment for breast cancer). Gamma-Tocotrienols is 3x more potent in inhibiting growth of human breast cancer cultured cells than Tamoxifen. Researchers also demonstrated that Tocotrienols enhance the effects of Tamoxifen and are also beneficial in the preventing of breast cancer. Oxidative stress is the major cause of premature skin ageing, causing skin to sag, wrinkles to appear, pigmentation to form and skin to appear unevenly colored or blotchy. Regular Vitamin E has always been known to improve skin health and delay ageing. But with tocotrienols, regular Vitamin E function is more than quadrupled. 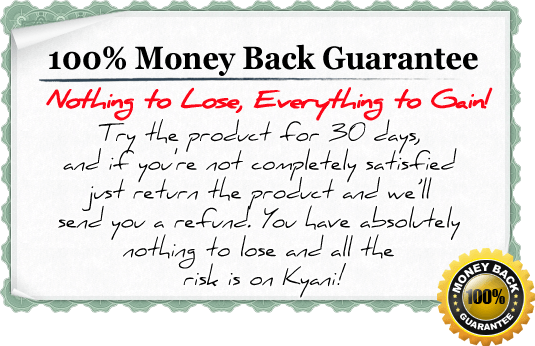 Kyani offers a 30 day 100% money back guarantees for new customers. There is no reason why you shouldn’t decide to give Kyani Sunrise a try today and experience the best Vitamin E tocotrienols supplement on the marketplace. Don’t worry about customs and shipping because the Kyani Sunrise Vitamin E tocotrienols are available worldwide with distribution centers and availability in Australia, Canada, most parts of Europe, the USA, Mexico, much of Asia and probably coming soon to your country if we aren’t there yet. Change your life and your health today! Try the Kyani tocotrienols and we believe you’ll be totally impressed with these proprietary Vitamin E Tocotrienols. I live in Canberra, Australia and I want to do home business. I have cirrosis of the liver and have to have bands put on my esophagus every 3 months because my liver cirrosis have went there. Is it safe for me to take Kyani ? Hi Patricia, per the FDA I honestly can’t answer that question because I am not a medical doctor. My recommendation would be to print out the ingredients of each of the products and take it to your doctor for her/his professional opinion. They definitely are! I encourage everyone to watch the videos on https://www.emeryempower.com, https://www.emeryempower.com/join-kyani/ and https://www.emeryempower.com/testimonials/!